Like the way A*Men smells, but afraid to wear it in public because it’s too strong? If so, then A*Men Pure Coffee is for you! It’s really as simple as that – Pure Coffee smells like a less concentrated version of the original A*Men, but with a big top note of roasted coffee. Other than the initial strong coffee note when you first spray it on, I don’t smell any more coffee in this than what was in the original A*Men. 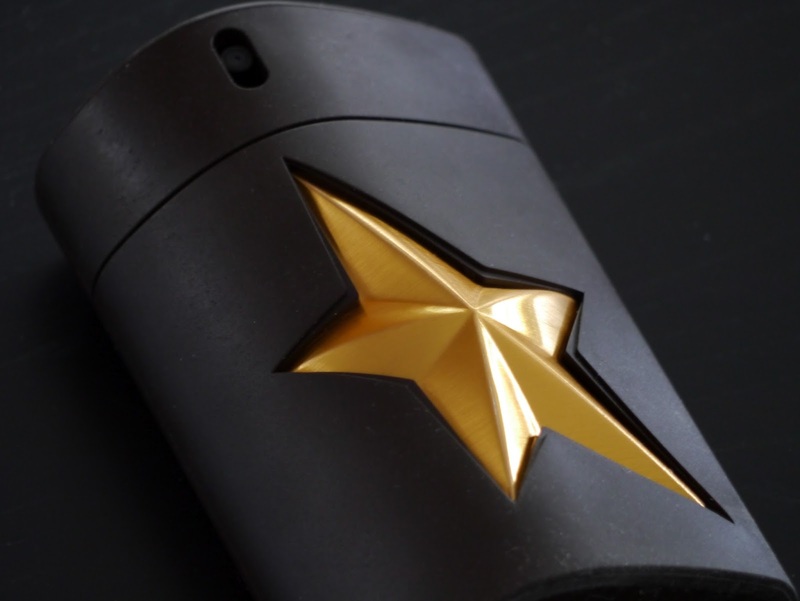 The coffee note, like in A*Men, is blended seamlessly with the chocolate, tar, caramel and patchouli, contributing to the unmistakable A*Men scent as a whole, rather than standing out on its own. You could actually pull off wearing this in a business meeting without the other people at the table looking at you funny. That’s because it doesn’t project anywhere near as strongly as A*Men, even though it smells similar. It’s still a rich scent, but it stays close to your skin, and is also a little bit drier than A*Men; it smells like there’s less vanilla and caramel in Pure Coffee. On the other hand, the big, stonking patchouli note is still there, which I’m glad about. A*Men is one of my favorite scents, so obviously I love Pure Coffee. It's a fun scent to wear, and it has a funny name. I can't wait for a stranger to ask me what I'm wearing, so I can say, "Pure Coffee". I slightly prefer the original A*Men for its strength, but it’s nice to know I have a version I can wear in front of clients without being “that cologne guy”. Lately I've been wondering how Pure Tonka stacks up compared to A*Men. I wore A*Men today to work and enjoyed it. It's a masterpiece, which makes it hard to imagine how any of these spin-offs could possibly improve upon it. Compared to A*Men, B*Men smells pretty dull, imo. And Pure Malt is just OK. I like your blog! Great post, I just recently tried a similar product that I received for free from perfumora.com. Will buy this one next time!